Flour + Water + Sugar + Salt + Yeast + Shortening = Yum! Entry filed under: What's Cookin'. 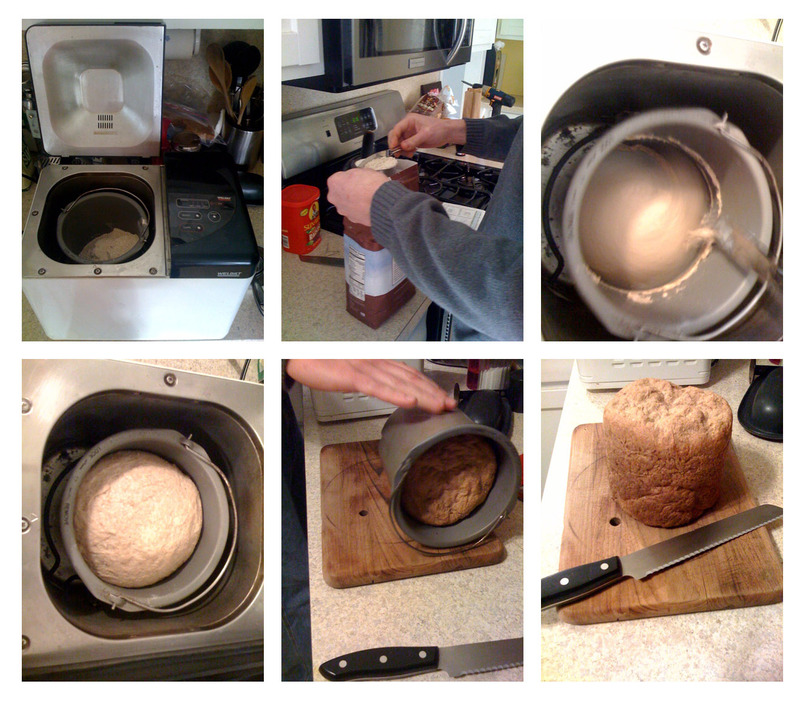 Tags: Connecticut Locavore, Making Bread. I now found that if I cut the water by a couple tsp’s, the loaf will rise much more than pictured!